This has been the longest week of my life. I have felt like this whole week has either been a string of never-ending Saturdays or the worst possible way of saying that I was too sick to go into the office. I am having a hard time wrapping my head around not working. I know that I made the choice to stop working but it also feels like someone pulled the rug out from under me. I have made a point of getting up and getting dressed (although I have only worn makeup once this week) and I have been busy doing things all week but the daily drive of my life over the last ten years is no longer there. It is as if I forgot how to drive stick and I can’t seem to figure out how to shift out of second gear. But it is actually all of this that has led me to my weekly five.I know; you are thinking what could it possibly be since it seems as if she is struggling. I will tell you what happened to me on Tuesday this week. I woke up at 7am and was actually refreshed. I was ready to do something and so I decided to go on a walk with the dog. It was a great morning to walk albeit a little cold. I bundled up and we were gone for an hour. We walked through neighborhoods and then followed the road back to the house. All the while there were snow flurries. It was a great walk and it felt good to breath fresh air. (Needless to say, about 15 minutes after I walked into the house a blizzard started up and even forced the snow plow to take a swipe through the neighborhood). I really love to walk. It gives me time outside. It usually forces a great conversation if you are walking with someone and more often than not, it is the best possible way for me to think. I think and think and think and usually find myself having walked a little too far away from the house that the walk back is somewhere between, “seriously?” or “when is it ever going to end?”. I did a lot of thinking on this particular walk and while I don’t have all of life figured out, I felt more hopeful about where things are headed. So my Friday five is my most favorite places to take a walk. 1. I really love the trail right outside of my current neighborhood. 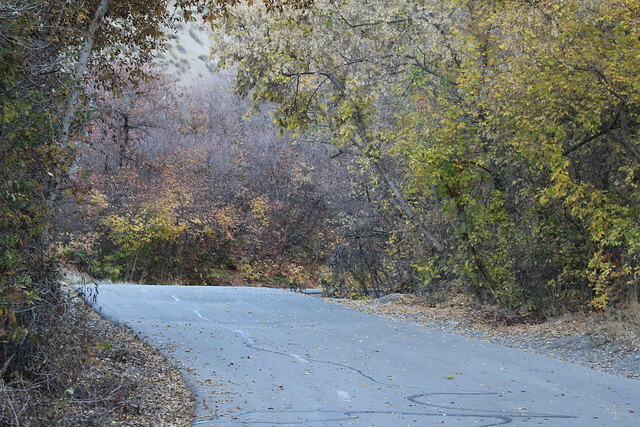 It is the Hobble Creek Canyon Trail and not only is it a great place to walk but it is great to run, bike, skateboard or look at nature with the kids. 2. I have always LOVED this second place and would go back to Kansas City just to be near it again. It is actually where I learned that I loved to run because for once it wasn’t on a track or in the street. It is the City of Overland Park Arboretum and Botanical Gardens. 3. This was a great place to walk and and even better place to people watch. I grew up as a kid spending a lot of time wondering the beach, pier and neighborhoods. It is Balboa Island in Newport Beach, California. 4. I really love walking through the city and not feeling like you are in the city. But this place captured my heart the first time I saw it and has been a place that I go back to every time I am in Portland, Oregon. It is Washington Park. 5. This walk is one that I remember ever since being a very little girl. I can’t tell you about how important my conversations used to feel with my grandmother as we walked. To this day, when I need advice, I mentally think about what my grandmother would tell me and I always picture her walking with me through these woods. It is Muir Woods National Monument in Northern California.